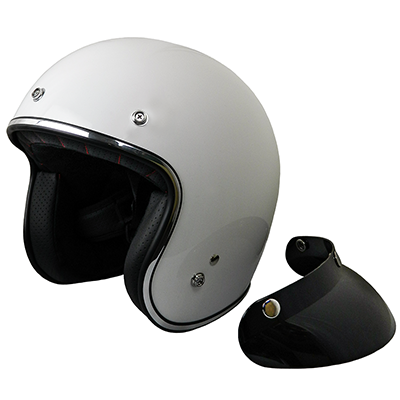 A gloss white lightweight helmet that is road legal in Britain (ECE22.05 approved) and constructed in polycarbonate. 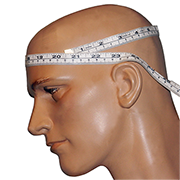 The foam padding allows comfortable glasses wearing and the fastening is a seatbelt style quick-release strap. Comes with removable peak and goggle strap retainer.